Welcome to the official call for host bids for the 2019 NAHBPC. 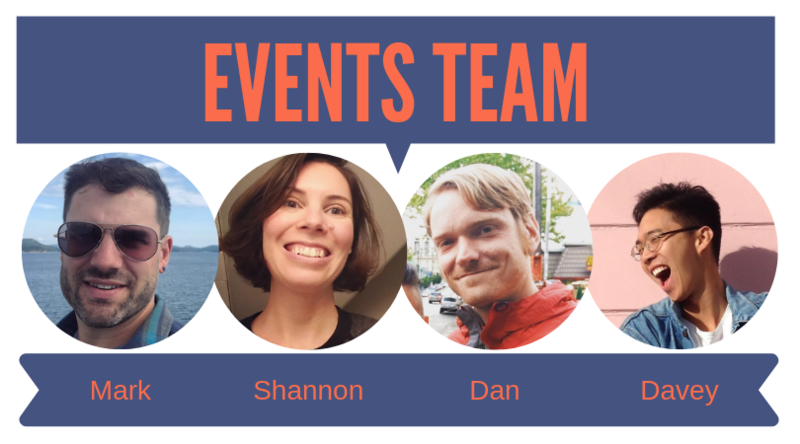 This year, the NAH would like to introduce the new NAH Events Team who will help organize and coordinate this year’s Championship. Shannon Fey will be our new Event Director. She will take over as lead organizer, supervisor, and point-person for this year’s NAHBPC. To help her with organizing, Dan Vee will act as an Event Coordinator. Davey Kim will work with them on sponsorship and as in past years, Mark Aseltine will work on the competitive aspects of the tournament as the Tournament Director. Together they will work closely with the NAHBPC host to deliver an excellent tournament experience this year. The Events Team has already begun working on organizing and planning the 2019 NAHBPC and are working to address feedback the NAH received from past hosts and players. In addition to organizing the NAHBPC, the team will put together a number of Standard Operating Procedure documents and resources for the NAH Events Team and host clubs to create clarity on expectations and responsibilities of hosts and NAH when organizing and throwing these kinds of tournaments in the future. The specifics for the NAHBPC 2019 are as follows; The event should start no earlier than July 10 and end no later than July 28, 2019. If you would like to host outside of this time window, please contact Mark, the NAH Tournament Director, to discuss the feasibility. Call for bids is open effective immediately and will close on Monday February 25th. The announcement of the successful host club will be on Friday March 1, 2019. The 2019 World Championship in Argentina will be held as 3v3 instead of squad. The format of NAHBPC 2019 is still under review by Regional Reps and the NAH Executive Team. The NAHBPC format and allocation method for WHBPC spots will be announced before the NAHBPC takes place. The Events Team has already secured a couple “early bird” sponsors for the 2019 NAHBPC! We’re excited to have Black Star Bags, Enforcer Bikes and Donata Bike Polo as some of our podium sponsors this year! For a full list of the amenity requirements, please see the bid submission form. A minimum of two courts is required but ideally three courts are made available. The facility should also have basic player amenities such as shade, water, toilets, and access to food for purchase. Organiser amenities, such as power and reffing stands and tables, should be provided. The NAH Events Team will work closely with the host club to outline responsibilities and requirements and help supervise and assist in organizing the tournament. Hosts can plan to have up to $4000 (two court) or $5000 (three court) for this year’s NAHBPC provided to them by NAH. The budgeted amount provided to the host club will be recouped by the NAH by collecting reg fees from players; if host club need more than the initial budgeted amount they will be responsible for fundraising extra resources. Registration fees are collected and kept by NAH. The NAH can provide these budgeted funds up front to assist a host club in quickly and successfully meeting the 2019 NAHBPC tournament and event requirements. We feel that with the new Events Team we have the ability to support any club in North America to take on hosting the 2019 NAHBPC and we encourage you to submit a bid. Interested hosts should consider how else they would fundraise for the NAHBPC in conjunction with NAH funds. Bids and questions should be submitted via email to (events@nahardcourt.com) with the documents provided here. For any questions regarding the competitive portion of the event, please contact Mark Aseltine directly at mark@nahardcourt.com. For any questions about the general running of the event, please contact Shannon Frey directly at events@nahardcourt.com. For questions regarding hosting the NAHBPC, please contact former NAHBPC hosts Thanh Nguyen directly at morrowtvn@sbcglobal.net or Matt Krofcheck at thiscarcrash1@gmail.com.